There can be no cap on options to choose from for your bathroom design. Dixie Shower Doors wants to give a few suggestions so that you know just exactly what aesthetic you want to go for. Contact our store near Volusia County to hear more about our different types of shower door options. The essence of class in all of master bath design ideas. This elegant feature will be the staple of your master bath design. You can frame it around lush cream-colored curtain and throw in a reflective chandelier for that glam effect. 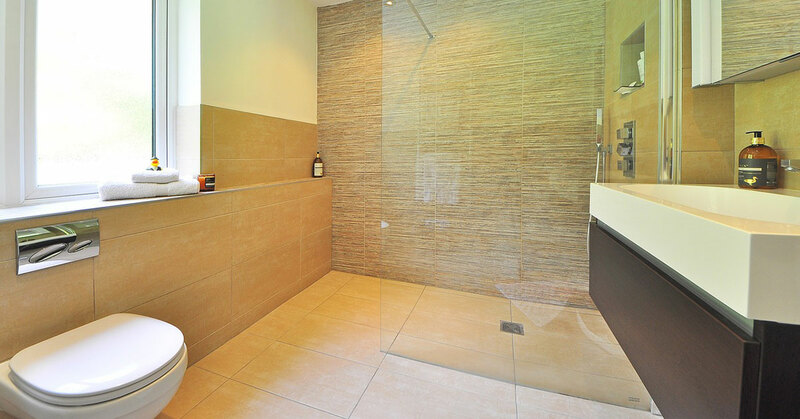 If you want the best of both worlds, pair your tub next to transparent shower doors for an all-natural look. Create a tranquil space for your master bath. Your Zen spot, if you will. You can incorporate flecks of gold in an otherwise all-white room and add in some playful greenery. It would be the ideal spot to install alternating shelving that can hold all of your favorite scented candles. Whether you would like a delicate flowered painting or exquisite tree made up of looming branches and color, there is a lot of room to play if you have a large wall in your master bath. It can be used as a canvas space to elicit whatever dream work you want to be immersed in. Muraled walls can be the ultimate conversation starter on your home tour. A favorite in bathroom design is the black and white checkered tiled floor. It is a bold technique that is both classic and eye-catching. This type of flooring might benefit with the addition of a claw foot tub and dark neutral colored furniture. Spruce up your bathroom décor with a sailor themed layout. This model is usually mixed with light hues of tan with a pop of navy-blue color. Get creative by implementing horizonal boards along your wall space. You can indulge in wicker furniture for the ultimate ocean-side effect. Paint the skies of your bathroom blue and surround your space with marbled tile to provoke that European-style feel in this room. You can incorporate intricate panels along columns and place dim lighting on the walls to set the mood. Bathrooms with arched entryways and those equipped with luminous windows are ideal for this type of design. Not all master baths have to be so cheerful. You can create a dark look my implementing shades of dark gray and white throughout your bathroom. Go for the marble countertops and be sure to consider dark-stain pine for your wall design. This sleek look would bode well with textured doors and natural lighting. In retrospect, an all-white master bath gives the sensation of a clean and organized space. You can play it up by adding in marbled designs for a little color. You can decorate with foliage or a simple painting, so it doesn’t seem too plain. Contact Dixie Shower Doors near Volusia County to hear more about our different types of shower door options.